I should have said Lucca's health services, as most of this took place in this province, but there was also involvement by Pisa Hospital, so I would keep it regional. Last Tuesday, having just arrived from home in Spain, my husband suffered a serious brain stroke. He was talking to the plumber about some work, when suddenly he collapsed, his right side paralyzed. Fortunately, the plumber is a huge guy who immediately realized what was going on, even if all this was sudden and without warning. He sat him on an armchair, started yelling for help and we got neighbours and everyone coming. I was not much help. I literally froze. My neighbours took over and in less than 10 minutes we had two ambulances with a doctor at the door. They rushed him to Lucca Hospital with my neighboring dragging me to her car and following them. I was still under shock. Emergency services worked frantically, made many tests, questioned me about his health, got in touch with Pisa and sent us there to see whether a special treatment within the first 4 hours was advisable, as they are the specialists in that field. For several health reasons, the treatment was not advisable and he was returned to Lucca. He never lost consciousness, which was good, and he was stabilized, although his condition was critical . He was then sent to Sub-intensive care and today he is being finally transferred to Barga's Hospital where he will start his rehabilitation in their special unit that practices the Grimaldi Method, which is widely acclaimed. Our Spanish doctors have advised to keep him there for as long as necessary as "he could not be in better hands" and to transfer him, even in an air ambulance, could jeopardize his incipient recovery. I am happy to say that his face is now perfectly straight, his speech has dramatically improved and he starts to feel both right arm and leg and has even moved them slightly. He is also in great spirits. I can only praise the work of all health professionals for whom I feel the deepest gratitude for everything they have done and will keep on doing.btheir standards are second to none. My neighbours, people we know from Bagni di Lucca, our plumber Gian-Luca and the local taxi driver, Marco, who drives me around at any time, day and night, are all great people and I will always be deeply in debt with them. If anyone has to go through such an ordeal, I guess that this region is the place to be. How horrible - Im glad your husband is on the mend, and you were very lucky that everyone realised that the sooner you act with a stroke the better the chances of recovery. WHen my mum needed a Tuscan hospital in Poggibonsi they were also fantastic. I wish I could say the same for Sicilian hospitals. I hope he is back on his feet very soon. Thank you very much, Modi and Casa Monal. Actually...and amazingly...he is improving by the hour. Very happy at Barga Hospital and the medical staff is superb. They make him feel at home. It is great to know that we can have those facilities. I will keep you tuned. So sorry to hear this Gala and relieved at the same time to hear that treatment has been successful. Yes the Hospitals around Bagni are truly marvellous and Lucca's new hospital has got glowing reports. My wife has had treatment at Barga and we have several friends who have had excellent treatment there, your husband is in excellent hands. Hope everything turns out fine for him and I know the people of Bagni are somewhat special when it comes to a crisis. Thanks, Flip. I think that, in spite of the ordeal, we have been very lucky to have such a great bunch of people and professionals to help. This evening, one of my neighbours told me that she thought that I was also going to collapse, as I was getting paler by the second. But the way they all reacted coming to our help, saved the day. And those little details... Just this morning I was offered a free cappuccino in one of the cafeterias that had heard about our problem... Nice, caring, genuine people in Bagni di Lucca. God bless them! What a dreadful shock but delighted to hear that he's in such good hands and on the mend. What a terrible ordeal for you both. So glad that your husband is doing better. We are all thinking of you and hoping for a full recovery. Thanks, Ghiro and Lisa. I am also starting to feel much better now. Our daughters are arriving next week from San Francisco and Portland and so does our baby grandchild. My husband and I are looking forward to this visit. Oh Gala, what a shock, thank goodness for all the support and care you both have had and are having, and for the excellent health service, kind neighbours and friends. I am sure with the arrival of your daughter and grandchild spirits will lift enabling a speedy recovery and some time out for you too...Angie. So sorry to hear this Gala but glad that he is recovering and that you are surrounded by good people. I'm glad your family are able to come over soon, that will make a lot of difference to both of you. We too have had marvellous medical treatment over here at Brindisi when my husband had encephalitis while I was in the UK. They recognised immediately that it was an emergency and caught him before he had a seizure so all was well. He thought I was making a fuss when I thought he was so confused on the phone that I got someone to take him to A&E. Our best wishes to you both. Thank you very much FP for your kind words and wishes. We have been very lucky in many ways throughout this ordeal that can only be understood by those who have been through a similar experience. The main reason why I started this thread was to reassure those expats who reside in Italy, come here on holidays, or who are considering those options and give personal evidence about the high level of care and assistance that they could get in Italy under similar circumstances. 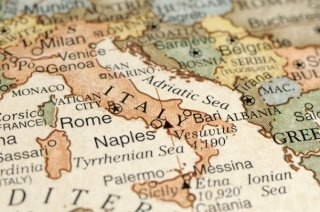 Certainly, there are differences between areas and regions, as it would basically happen in any country; however, the WHO has ranked Italy in second place, second only to France, in health standards and practices. I have spoken to our doctors in Spain -in our region we also enjoy top health services - and they have advised to remain here for the time being, getting the rehabilitation going. As they put it: "we could match it, but not improve it". It looks like as if we are in the best possible hands. O my goodness Gala, what a terrible thing to happen, I am so glad your husband is on the mend. our thoughts are with you both. Thank you very much, LL. He is improving, although this is going to be a long road. Gala Placidia wrote: Certainly, there are differences between areas and regions, as it would basically happen in any country; however, the WHO has ranked Italy in second place, second only to France, in health standards and practices. From a medical perspective it's very interesting because Italian doctors, like French doctors, are somewhat chauvinistic and largely publish their learned papers in their native language - and not in the English speaking journals. As a result the English speaking world is largely unaware of the extremely high quality of medical care in both France and Italy. It is only evident that doctors will write their papers in their native tongue; however, I am sure that there are plenty of professional medical translators (not the Google variety) who can fill up the language gap if there was a demand. Perhaps the medical profession needs to catch up with the meaning of globalization...?? Arrogance? Perhaps, but we all need to learn from others. By the way, I have been struggling with an 8 page medical report on my husband's problem. Fortunately, most scientific words, at least in the Romance group of languages come from Latin... Which is a great help! So glad that your husband is recovering Gala and what a shock it must have been at the time. Hope he is home soon and at least you will have support from children when they arrive. Best wishes to you all. I cannot fault the Italian doctors either, as I went into hospital with pneumonia and they then discovered that my aortic heart valve had a problem. Sent to the Ascoli Piceno hospital for just a check, but they decided I needed a operation. A few days later, I was in Ancona at the university hospital for a replacement valve. Gala Placidia wrote: Well, Ghiro, if we have a look at the statistics provided by the WHO, we can see that the large majority in the "top 10" are not English-speaking countries: http://thepatientfactor.com/canadian-health-care-information/world-health-organizations-ranking-of-the-worlds-health-systems/On the other hand, the U.K. Is at number 18...It is only evident that doctors will write their papers in their native tongue; however, I am sure that there are plenty of professional medical translators (not the Google variety) who can fill up the language gap if there was a demand.The doctors' attitude cannot be classified as "chauvinistic", as it is only natural to write papers in your native tongue. If you have a look at the papers written by American doctors, many are translated into Spanish....Perhaps the medical profession needs to catch up with the meaning of globalization...?? Arrogance? Perhaps, but we all need to learn from others. As I said GP. Couldn't agree more. Aren't The British Medical Journal, The American Journal of Medicine, The New England Journal of Medicine, The Lancet etc etc who all publish only in English equally 'chauvinistic'? Yes, Ghiro, we could say that...; he weaver, with the progressive replacement of the printed press by modern, more flexible technologies, things are rapidly changing. Many non-English speaking doctors and scientists are currently using English as "lingua franca", but also English-speakers are learning other languages and doing research in countries other than their own. And to foster this will be vital for the good of the patients. We all have something to learn from each other. As you say Gala, full recovery will take time but if it's time needed it's time well spent....slowly slowly. As you have been advised it is best for OH to spend as much time as possible in hospital getting the right treatment and help to aid recovery. Thinking of you both and family and sending you positive thoughts. A terrible thing to have happened but it appears you couldn't be in a better place, thank goodness. All these caring responses show what esteem you are held in on this forum. As a coincidence, yesterday BBC Radio 4 was talking about the latest medical thoughts re a stroke - take an aspirin. It seems this can allay further worse episodes so perhaps we should all make sure we have some in the house/handbag etc. Re the health service in Italy; I recently had an episode of what it seems was Transient Global Amnesia. Luckily I was with a friend who immediately took charge and could do the usual tests for a stroke and then got me to my GP. Within days I had had a brain scan and also a carotid artery scan - thankfully everything is fine and the TGA episode is unlikely to occur if I avoid stress. As with Gala, I cannot express anything other than the highest respect of the service here. With best wishes for your husband's continued recovery.